- Players tryto get through gaps between players for a point. - Moments to use scissors to change direction. continues his run to the other side of the area. it with a scissor, faking towards the supporting teammate. 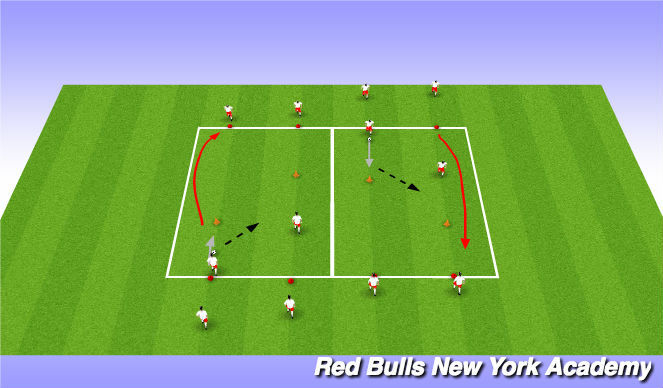 - Passing with outside of foot nearest supporting teammate. must win the ball above the red line (as shown). opposite endline he started from. 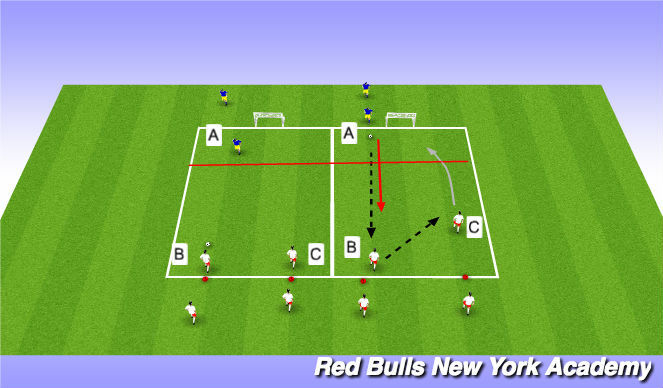 2v2+1 (on right) for more 2v1 scenarios. kids got striking repitiions during the session. (obviously play a 3 game tournament).